Our last Member of the Month for 2010-11 is our 2011-12 Fellowship Chair: Don Higgins! Don is one of the founders of the Rotarians on Social Networks Fellowship, and has worked tirelessly for ROSNF since January 2009. It is hard to encapsulate just how much Don does for the Fellowship. He quietly does a lot of work behind the scenes – a lot of the smooth running of ROSNF is thanks to his ongoing dedication. Don co-ordinated our activities at our first Rotary International Convention as an official fellowship, in New Orleans, including a booth in the House of Friendship. All the best Don for your year as ROSNF Chair! Thank you for all you do! We have been surveying our members about our Fellowship, and the main feedback we seem to be getting has been eye-opening: our members, on the whole, don’t really understand what we offer. We asked for feedback about ROSNF, and received very specific feedback about rosnf.net, including several comments from members saying they couldn’t see any benefit to being a member. What did we offer that wasn’t already available on Facebook or LinkedIn? There seems to be a huge misconception that ROSNF = rosnf.net, even though our Fellowship’s existence has pre-dated the website by a good 2 years unofficially / 6 months from time of charter. Our website is just one component of the fellowship, and is a launching pad rather than the totality of what we do. We have very specifically decided NOT to reinvent the wheel on rosnf.net. 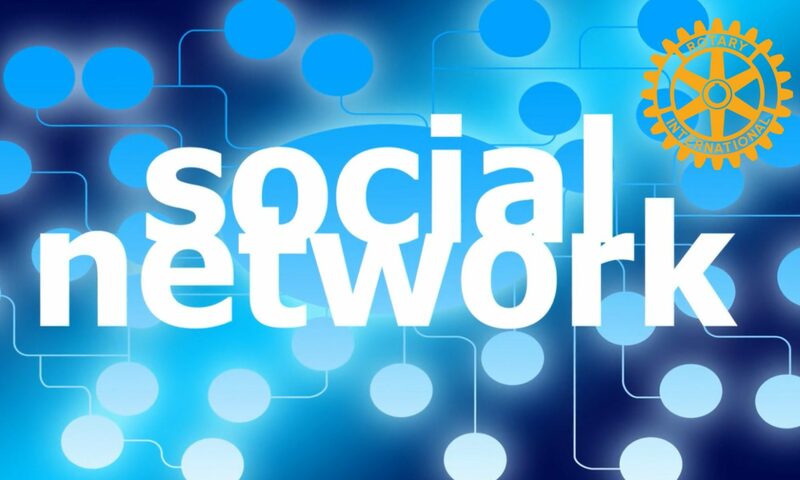 We agree that Facebook and LinkedIn are the best social networks for connecting, and we encourage members to add links to their profiles and pages on rosnf.net, and to launch off to our ROSNF groups / page or member profiles / club pages from there. We do have a small social network (that first and foremost is our member database) so members can interact regardless of which networks they prefer, but it is not intended that it replace discussions etc on LinkedIn or Facebook. But facilitating discussions between Rotarians and Rotaractors is just one aspect of the Fellowship – there is much, much more to us that that. Don’t know what social networking is, or why you should try it out? We help allay people’s fears and misconceptions – our members regularly give talks and seminars at club and district meetings, and I’ve recently spent 2 days training Rotary staff in Sydney. All except one of the panelists on RI’s social media webinars in February 2011 were ROSNF members. Just starting out? We help members get to grips with the different social networks, and the different aspects of Facebook. We explain one-on-one or in the different forums or in articles things like what the difference is between a group and a page, or a Facebook group vs a LinkedIn group, and where you can find Rotarians on the different platforms. We regularly post articles on our Facebook page, with a selection available on our Support & Training page. If you’d like personal help, you can ask questions in our discussion groups here on rosnf.net, on Facebook or LinkedIn, or look up a volunteer “Expert” in a particular platform, or the “Champion” for your district. More comfortable with using social networking? We’ll give you tools and tips to really use the networks and apps effectively, and we’ll help give a leg-up such as the “Hug a Club” project to help get your club up to the magic 25 fans to get a vanity URL. This week we’ll be commencing a new blog series where members will share insights about what works for them in a wide variety of areas. If you’re a pro, then we offer you the opportunity to use your expertise to help others who are just starting out. We provide a central hub where you can be found by those that need your help to get their toes wet, and you can pick and choose what you’d like to help out, whether it is with being a mentor (“Expert”) on a specific site such as LinkedIn, or helping us program new apps. You can sign up as a District or Zone champion and take on the challenge to get social media adopted widely in your local area. An article about our Fellowship has been published in the June 2001 issue of the Rotarian Down Under Magazine. View more documents from Simone Carot Collins.